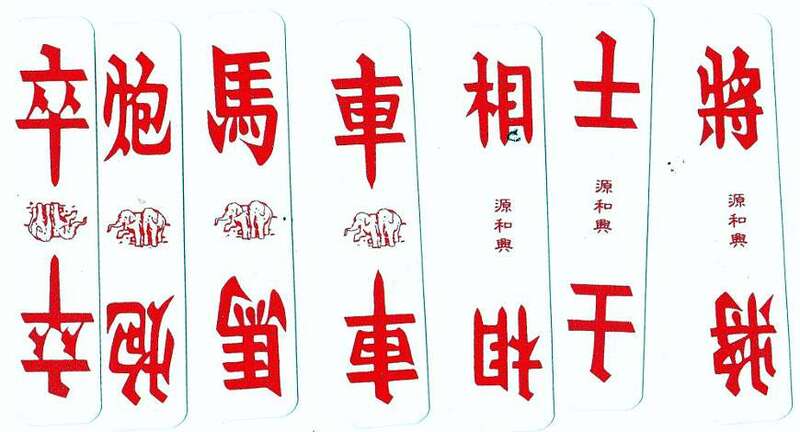 Four colour cards, or Si Sek Pai as they are known in Hokkien, are a form of playing card used in China and a great part of S/E Asia. These cards are used to play a game much like rummy. 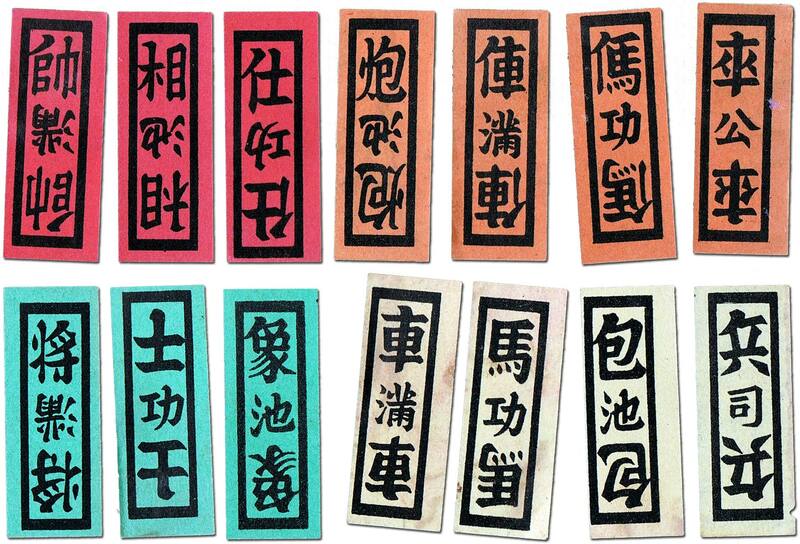 Hokkien Four Colour Cards differ from the “Double Elephant Four Colour Cards” in several ways. The characters on the cards are written one way for red and yellow, and another for green and white. 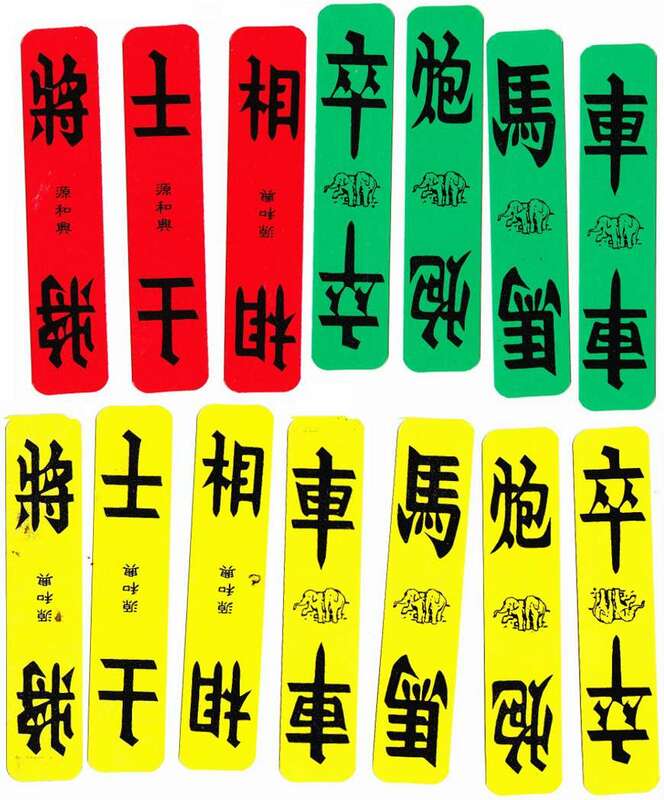 They are: 將 士 象 車 馬 包 兵 for white and green; 帥 仕 相 俥 傌 炮 卒 for red and yellow. This distinction reflects actual Chinese chess sets from which these characters are taken. In these sets, the characters of each side are written differently from the other. 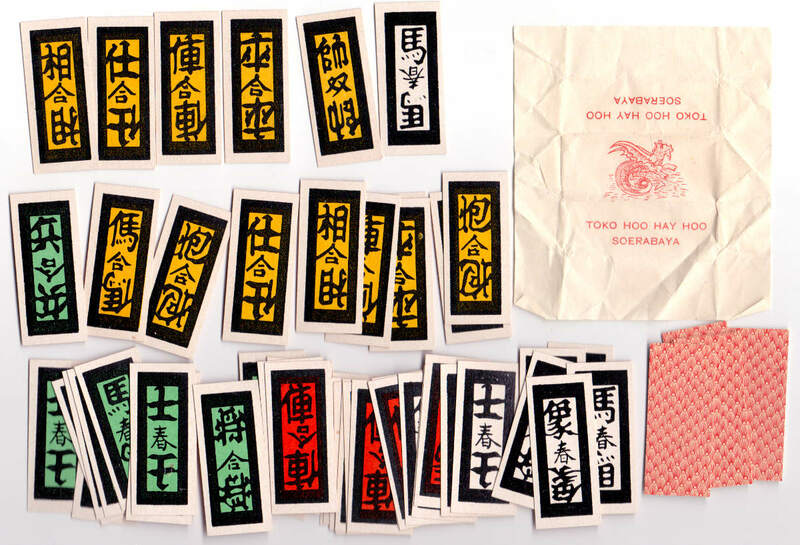 In the centre of each of the cards is a Chinese character, which if arranged correctly form a phrase. Above: Four Colour cards with wrapper, unknown manufacturer, Soerabaya. 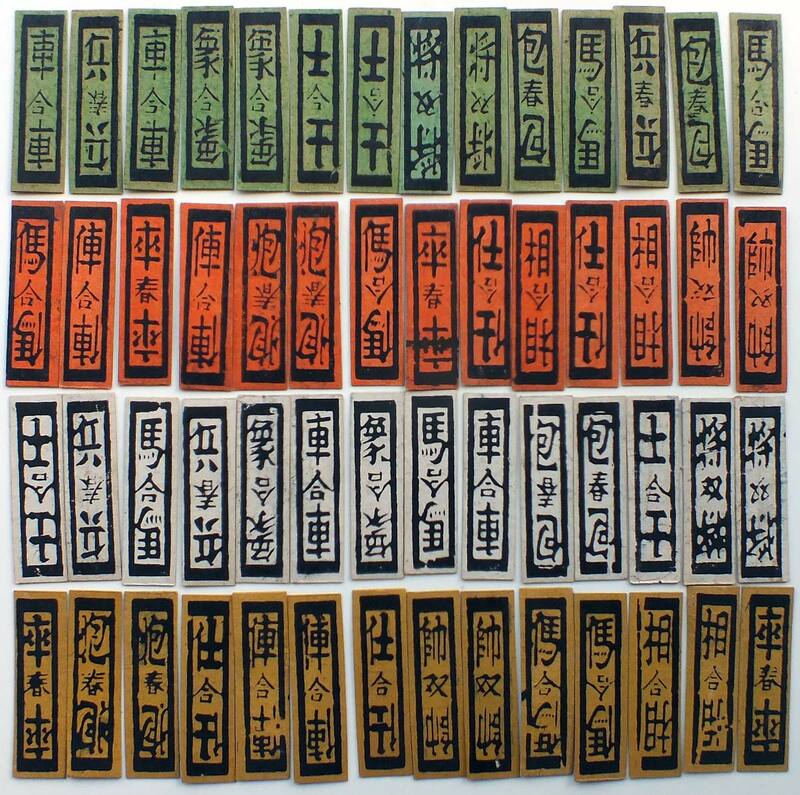 Above: Four Colour Cards (Si Sek Pai) made in Turnhout (Belgium) for export to Far Eastern markets, c.1900. 56 cards, reverse is plain (uncoloured). Three Goats Brand for export to Far Eastern markets. Four Colour Cards is a very popular game from the rummy family with a relatively long history in China. Above: Three Goats Brand Four Colour Cards. 112 cards in box, reverse is plain (uncoloured).